Here comes Another Choice ! 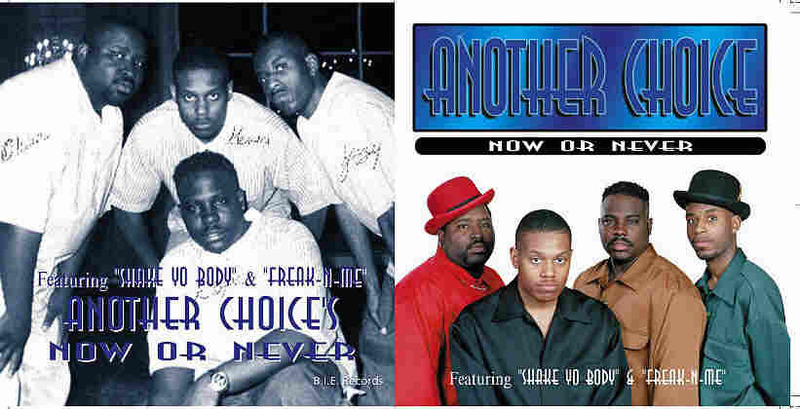 Oliver "DR O" Patton, Gerald Kelly, Edgar Davis, Jazzy K.
Coming from Chicago, two very talented musicians, songwriters and producers (G. Kelly & Jazzy K) first met 10 years ago at a high school talent show with a dream and grew into a very talented four men group calling themselves "Another Choice" . With input from all members about writing, producing, choreography, arranging and promoting, (everyone wears a different hat) they are able to offer different flavors including; Gospel, Jazz, Rap and R&B . Another Choice is now playing on over 64 radio stations ! Oliver, Gerald, Edgar, and Jazzy K.